「　I have said already that I can reach up and bring the Holy Spirit down to you, but I can bring Him to you only at your own invitation. 1. Healing is a thought by which two minds perceive their oneness and become glad. This gladness calls to every part of the Sonship to rejoice with them, and lets God go out into them and through them. Only the healed mind can experience revelation with lasting effect, because revelation is an experience of pure joy. If you do not choose to be wholly joyous, your mind cannot have what it does not choose to be. Remember that spirit knows no difference between having and being. The higher mind thinks according to the laws spirit obeys, and therefore honors only the laws of God. To spirit getting is meaningless and giving is all. Having everything, spirit holds everything by giving it, and thus creates as the Father created. While this kind of thinking is totally alien to having things, even to the lower mind it is quite comprehensible in connection with ideas. If you share a physical possession, you do divide its ownership. If you share an idea, however, you do not lessen it. All of it is still yours although all of it has been given away. Further, if the one to whom you give it accepts it as his, he reinforces it in your mind and thus increases it. If you can accept the concept that the world is one of ideas, the whole belief in the false association the ego makes between giving and losing is gone. 3. This is the invitation to the Holy Spirit. I have said already that I can reach up and bring the Holy Spirit down to you, but I can bring him to you only at your own invitation. The Holy Spirit is in your right mind, as he was in mine. The Bible says, "May the mind be in you that was also in Christ Jesus," and uses this as a blessing. It is the blessing of miracle-mindedness. It asks that you may think as I thought, joining with me in Christ thinking. 4. 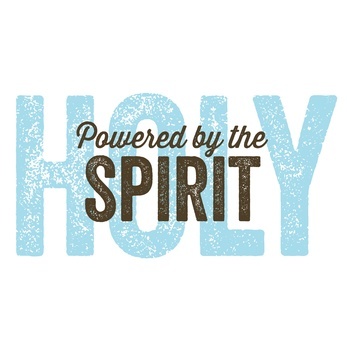 The Holy Spirit is the only part of the Holy Trinity that has a symbolic function. He is referred to as the Healer, the Comforter and the Guide. He is also described as something "separate," apart from the Father and from the Son. I myself said, "If I go I will send you another Comforter and he will abide with you. " His symbolic function makes the Holy Spirit difficult to understand, because symbolism is open to different interpretations. As a man and also one of God's creations, my right thinking, which came from the Holy Spirit or the Universal Inspiration, taught me first and foremost that this Inspiration is for all. I could not have It myself without knowing this. The word "know" is proper in this context, because the Holy Spirit is so close to knowledge that he calls it forth; or better, allows it to come. I have spoken before of the higher or "true" perception, which is so near to truth that God himself can flow across the little gap. Knowledge is always ready to flow everywhere, but it cannot oppose. Therefore you can obstruct it, although you can never lose it. 5. The Holy Spirit is the Christ Mind which is aware of the knowledge that lies beyond perception. He came into being with the separation as a protection, inspiring the Atonement principle at the same time. Before that there was no need for healing, for no one was comfortless. The voice of the Holy Spirit is the Call to Atonement, or the restoration of the integrity of the mind. When the Atonement is complete and the whole Sonship is healed there will be no Call to return. But what God creates is eternal. The Holy Spirit will remain with the Sons of God, to bless their creations and keep them in the light of joy. 6. God honored even the miscreations of his children because they had made them. But he also blessed his children with a way of thinking that could raise their perceptions so high they could reach almost back to him. The Holy Spirit is the Mind of the Atonement. He represents a state of mind close enough to One-mindedness that transfer to it is at last possible. Perception is not knowledge, but it can be transferred to knowledge, or cross over into it. It might even be more helpful here to use the literal meaning of transferred or "carried over," since the last step is taken by God. First, its universality is perfectly clear, and no one who attains it could believe for one instant that sharing it involves anything but gain. Second, it is incapable of attack and is therefore truly open. This means that although it does not engender knowledge, it does not obstruct it in any way. Finally, it points the way beyond the healing that it brings, and leads the mind beyond its own integration toward the paths of creation. It is at this point that sufficient quantitative change occurs to produce a real qualitative shift.